In the first pilot for the murder mystery series starring Peter Falk, we saw a painting owned by Dr. Ray Flemming. That same painting later showed up in the massive art collection of Rudy Matthews. This is no Zonk. In order to pay his huge legal fees, Dr. Flemming sold off most of his prized belongings. The painting went to Matthews. 'Community' has shown us several different animation styles for its characters during its run. These are the counterparts of the Greendale gang from the Tooniverse, where their lives may follow the same course in general, but in wildly different settings sometimes. Even though the styles are different, both of these "Tooniversions" of Jeff, Shirley, Abed, and Britta share the same animated dimension. HULKING OUT ON "THE BIG BANG THEORY"
Edward Norton - "The Incredible Hulk"
Mark Ruffalo - "The Avengers"
With three of those options, there's really no problem. Ruffalo, Bana, and Norton all belong in separate dimensions of the Cineverse. But it's also possible that Mark Ruffalo might one day show up in the TV dimension of Comic Book Toobworld in a cameo appearance on 'Marvel's Agents Of SHIELD'. As far as Lou Ferrigno is concerned, there we might have a problem. "Sorry Ferrigno, don't get mad. Oh, I think he's turning a little green." In order to protect the identity of the Hulk's alter-ego, UNReel gave him the name of Bruce Banner in those comic books and movies. But in the "reality" of Toobworld, his name was actually David Banner. Lou Ferrigno was hired to play the Hulk in that TV series because of his close resemblance to the gamma ray-infused creature - once the green make-up and facial prosthetics were applied, of course. Hopefully that deZonks that particular reference in 'The Big Bang Theory' for all the incarnations of the Hulk. In Norse mythology, Thor (from Old Norse Þórr) is a hammer-wielding god associated with thunder, lightning, storms, oak trees, strength, the protection of mankind, and also hallowing, healing and fertility. 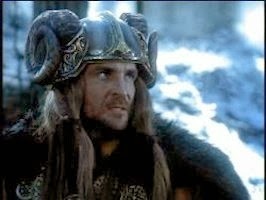 At one point, Neal Cassady was in Mr. Gold's "Cabinet of Doom" and could be seen standing next to Mjolnir, Thor's hammer. 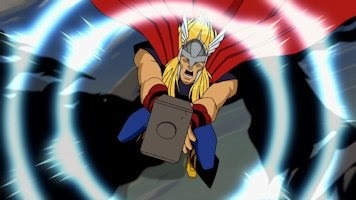 There are many copies of Thor's hammer in the TV Universe, scattered across several dimensions. 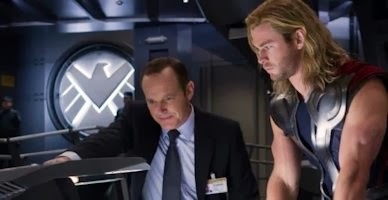 Should Thor - as played by Chris Hemsworth - ever appear on 'Marvel Agents Of SHIELD' (rather than just be mentioned) - the God of Thunder and his hammer Mjolnir would only be in the dimension of Comic Book Toobworld. 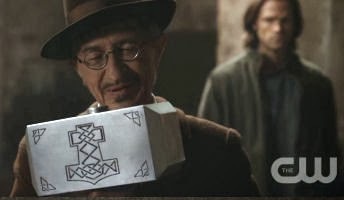 Mjolnir, as seen in that aforementioned Cabinet of Doom, belongs to a Thor from yet another TV dimension - The Land Of Fiction, as seen in the 'Doctor Who' story "The Mind Robbers". 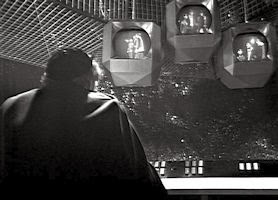 It was assumed that the dimension faded away once the Doctor and his Companions were able to free Charles Hamilton from being the Master of the Land and the computer that enslaved hm was destroyed. But the Land of Fiction was able to thrive on its own and so many more of Hamilton's imaginings never seen in "The Mind Robbers" flourished - Rumpelstiltskin, Peter Pan, Captain Hook, Pinocchio, Dr. Frankenstein.... To wit, most of the characters to be found in Storybrooke, Maine, for many of them found a way to cross over from the Land of Fiction and into Earth Prime-Time. 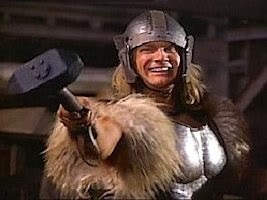 So should Thor ever appear in Storybrooke, he is a fictional construct given life from the Land of Fiction. 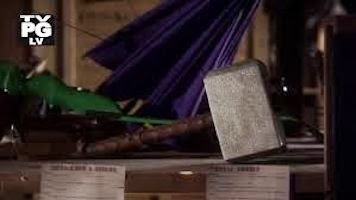 As for the Thor of the main Toobworld, at the moment his fate is unknown because Mjolnir has been spotted on several occasions without the Norse "god" present. 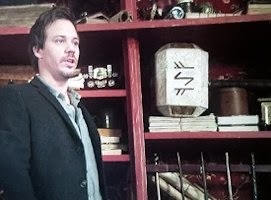 Somehow it ended up in Warehouse 13 (along with Green Arrow's bow and the Penguin's umbrella.) But how the Warehouse agents were able to procure it for their archives is unknown. From there it was stolen by minions of Plutus the "god" of wealth so that he might put it on the auction block for other "deities" to bid on it. 'Once Upon A Time' - "Quite A Common Fairy"
'Doctor Who' - "The Mind Robbers"
'Hercules: The Legendary Journeys' - "Norse By Norsevest"
'Warehouse 13' - "Mild Mannered"
'Supernatural' - "What's Up, Tiger Mommy?" And so it is with the TwD. Brilliant ideas and theories I came up with years ago can be subject to revision if they re-enter my memory banks later on. Such is the case with a theory I once held about Agent 99 of 'Get Smart'. It used to be my contention that this loverly member of the Television Crossover Hall of Fame would once a year cheat on her husband, Maxwell Smart, with a former baseball player turned Boston bartender, Sam Malone. And because she had become a United States senator, she would use an assumed name - Lauren Hudson. 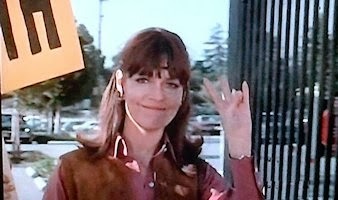 Instead, I think this one-shot character played by Barbara Feldon is another TV character seen only once - Cynthia Hampton. 'The Name Of The Game' - "Cynthia Is Alive And Living In Avalon"
'Cheers' - "Sam Time, Next Year"
"103 years ago today, the Triangle Shirtwaist Factory in New York City caught fire, causing the deaths of 146 garment workers -- mostly young Jewish and Italian immigrant women, who jumped from the 9th and 10th floors because the fire department's ladders weren’t long enough to reach them and the factory owners had locked doors to stairwells and exits to keep out union organizers and prevent workers from taking breaks and stealing fabric. It was an era of great wealth and urban squalor, underpaid and overworked employees, overcrowded and unsafe working conditions, and legislators whose votes were bought by industrial magnates. Even after the tragedy, the president of New York’s Real Estate Board warned against improved safety standards. "The experience of the past proves conclusively that the best government is the least possible government,” he argued. The Board predicted safety laws would drive "manufacturers out of the City and State of New York." But safety standards were established nonetheless, and the International Ladies Garment Worker's Union became powerful enough to protect workers against the worst forms of exploitation." "The Triangle Factory Fire Scandal"
The story of a fire in the Triangle Shirt Mfg. Co. building in New York City in 1911 that resulted in the deaths of 146 employees, mostly young women. The ensuing investigation revealed the company's almost total disregard for its workers' safety in pursuit of increased production and profits, and resulted, among other things, in the passage of new worker safety laws and the formation of the International Ladies Garment Workers Union. TUESDAY NEWS DAY: A NEW ODD COUPLE? Lately, NBC seems to have been traveling the remake route, with the latest being the quickly cancelled 'Ironside' and with a reboot of 'Murder, She Wrote' that was in the works until the pre-publicity turned against it. (I thought it could have worked so long as they just retained the title and made it a whole new character.) And in the last few years there was also the retread of 'Bionic Woman'. 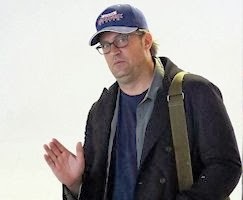 CBS is getting into that game as well, with Matthew Perry bringing 'The Odd Couple' back as a sitcom. But I think the public has Randall & Klugman too firmly entrenched in their minds as the Odd Couple and that may prove too difficult to overcome. I wrote this post up for future use when the news story first broke. That was before NBC canceled 'Sean Saves The World' after giving it a longer shelf life than it deserved. So I called that one! Desk Sgt. 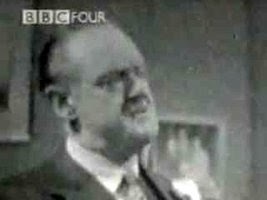 Flint of the Dock Green police station was a second cousin to Judge Lawrence Gascoigne of Hastings. 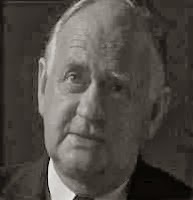 During World War II, Judge Gascoigne was murdered by his own wife when she found out that he was responsible for the death of a small boy in their care. 'Foyle's War' - "A Lesson In Murder"